Posing is an ART. But understandably it's an art that a lot of couples are nervous about, and SADLY that a lot of so-called "professional" photographers actually don't know how to direct correctly. So if you happen to have a photographer who doesn't know how to pose you with expertise and intention, what are a few things you should remember? First off you want to ensure that your spine is straight, but NOT stiff and unnatural. I often ask my couples to act as if there is a string on the back/top of their head pull up. Have a straight spine and natural curve in you lumbar (lower back). Push your shoulders 1 inch back. This will further bring confidence and beauty in your pose. You want your weight distribution to be uneven or else your pose will look unnatural. There are two ways to do this. Either cross one leg over the other or put more weight on your back leg. Look at the photo below. Each of these techniques were used on this photo of Emma. But What About Posing Your Arms and Hands? I could write a book on how to pose hands and eyes... it's the photographers job to not just "memorize" poses, but to learn how to "build" a pose for our brides and grooms. But here a few pointers so you'll know what to do on your wedding day. The hands and arms can be used to lead attention to the right places. With this cigarette pose (looks like she's holding a cigarette almost), it leads the viewers attention towards Alise's face, but is also very natural and beautiful. With her other arm we could either make it out of sight behind her, or where it is across her waste also looks very natural. When you hold something it naturally gives your hands something to do, but also brings attention to that object. Here I have Andi holding her dress which also is a beautiful way to lead attention and show it off. In this post I also had her do the cigarette pose which for this particular case worked out beautifully. If there is nothing to hold and I see a pose may look better with hands and arms NOT straight down, you can place one or two hands at the waist. Having your elbow at more than a 90 degree angle gives a more elegant pose than having it at 90 degrees or more. Photographers who don't know how to pose the hands and arms often give brides and grooms what is called the floating head (what you don't want). It's when you have a close up shot of the face, but no hands and arms in the photo. You can use hands and fingers to lead attention to where you want with a close up. In this portrait I wanted to lead attention to Megan's eyes and lips. So I gently directed her hands naturally in this position. As you can see, this portrait does not look forced or rigid even though the hands are in a place that you would not expect. This can enhance a close up portrait in a really beautiful way. Where you look can dramatically change the feel of the portrait. As you can see in the first two photos I had the brides look down, giving an almost candid feel of the portrait. But no matter where you look, you want to avoid only seeing the "white" part of your eye. When you focus on something very hard, it triggers the Parietal Lobe in the brain. This brings out a VERY captivating look in the eyes. I hope you enjoyed these posing tips :). Look out for the next two emails because I’m going to be going all in sending you two more gifts! P.S. 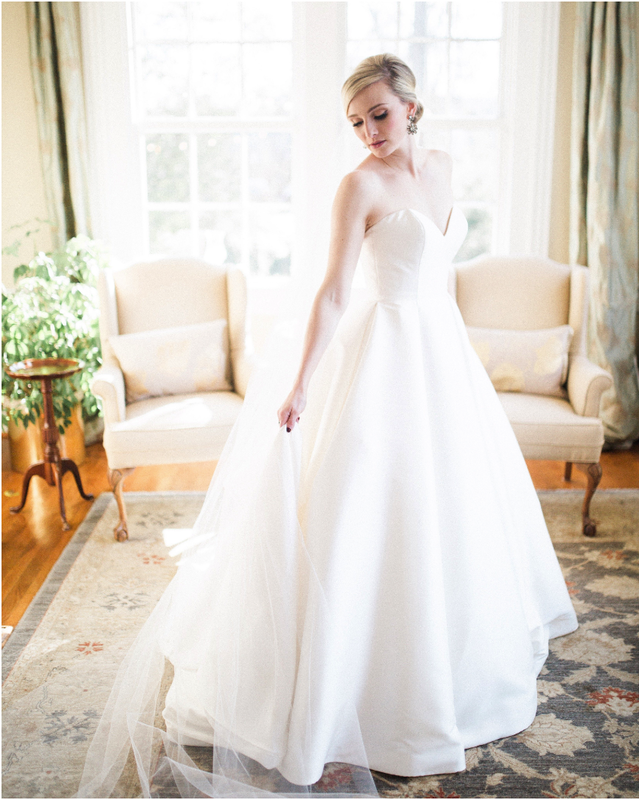 Be sure to check out some a bunch of our brides reviews by clicking here!